The Hotel has 10 bedrooms, which are all en-suite and have complimentary tea and coffee making facilities, hair dryers and digital television. We offer twin, double, triple, single and family rooms. If you are travelling with family, our family rooms accommodate a maximum of one double bed and two single beds, whilst most rooms can accommodate a complimentary baby cot for infants. Please check at the time of booking what rooms are available to meet your needs. The Galloway Arms offers all the facilities for business and leisure travellers, stalkers, fishermen and golfers alike. 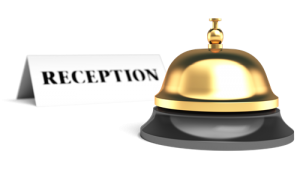 If you have any special requests for your accommodation please contact the hotel directly. Prices are per room per night including Full Scottish Breakfast. Children are accommodated within the family room price, including breakfast. Cots are also available free of charge. Alternatively, please contact us directly for Group Bookings or Special Break Packages. Picnic Lunches can be ordered if you are exploring the area or just wish to have something with you for your journey. Meals are available from morning till 9pm. Our Breakfast Menu is available until 12noon and a Snack Menu of light options is available from 12pm – 5pm. We also have an All day Menu available from 12pm – 9pm in the Bar and Front Foyer. The Bar is open until 12 midnight Monday – Sunday. Room Service from our standard menus is available, upon request, at no additional charge. Please ask at Reception for a copy of our current menu options. A Wake-Up Call service is available. If required, please ask at Reception. Check Out time is 10.30am. We are happy to assist with the storage of luggage for the day if required. Late Access to Hotel is available by arrangement with staff if you will be returning after 12 midnight. Please ask at reception to arrange prior to leaving for the evening. Irons, Ironing Boards & a Trouser Press are available from Reception. Pets may be permitted, only by prior arrangement with your hosts. Owners are responsible for their pet’s behaviour and an additional cleaning charge may be levied where deemed necessary. Smoking is not permitted in bedrooms or inside the hotel. We have a designated smoking area in the centre courtyard of the Hotel. Photocopying is available by arrangement with Reception.